The Multnomah Lodge at the base of Mist Falls burned down in 1929. 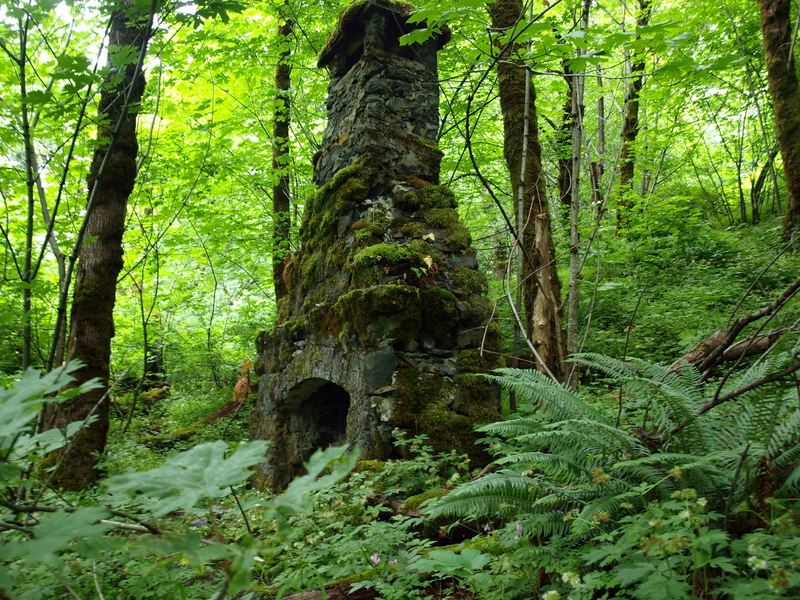 The fireplace for the lodge remains, though the forest is slowly reclaiming it. You can still see it from the Historic Highway, but you’d better have a sharp eye.